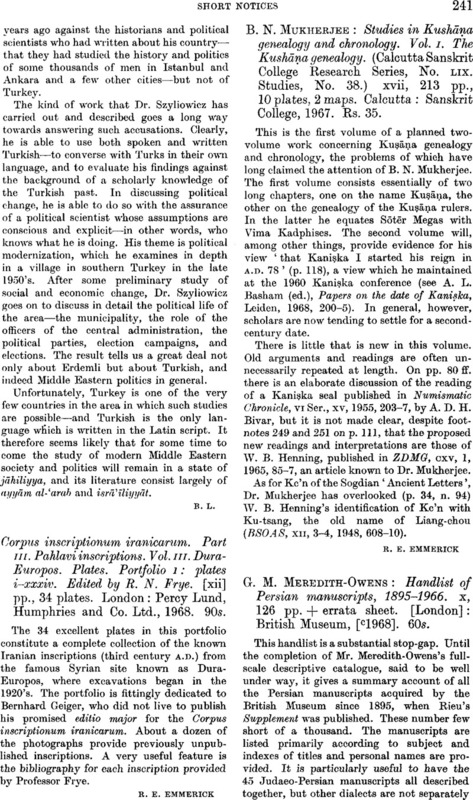 B. N. Mukherjee: Studies in Kushāna genealogy and chronology. Vol.I. The Kushāna Genealogy. (Calcutta Sanskrit College Research Series, No. LIX. Studies, No. 38.) xvii213 pp., 10 Plates, 2maps. Calcutta: Sanskrit College, 1967. Rs.35.